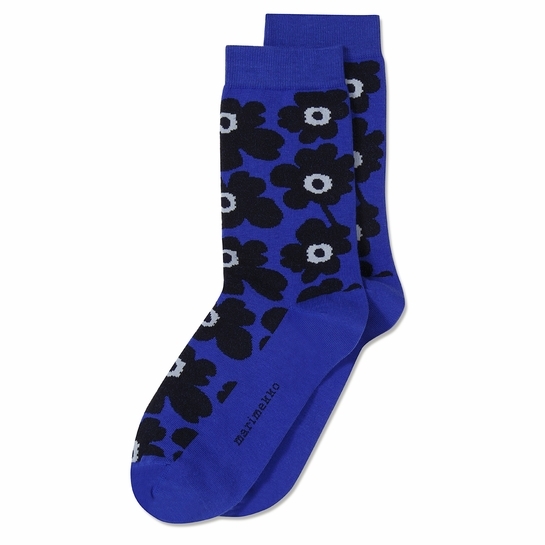 More about Marimekko Unikko Blue / Navy Socks Stay stylish head to toe with these Marimekko Unikko socks. Maija Isola's iconic poppy pattern from 1964 is as mod as ever in a bright electric blue hue, paired with navy and grey accents. These cotton-blend socks are just the right weight to stay warm but not get too hot, and have a slight stretch to them for the perfect fit.